How are experiences shaped in and by specific artworks? How do they produce meaning for viewers? And how might experience be understood as an artistic medium? Linking the notion of experience to recent cultural and economic transformations in Western society, art historian and curator Dorothea von Hantelmann advances a new critical position to frame contemporary art’s evolving and experiential nature. von Hantelmann, Dorothea. “The Experiential Turn.” In On Performativity, edited by Elizabeth Carpenter. Vol. 1 of Living Collections Catalogue. Minneapolis: Walker Art Center, 2014. http://walkerart.org/collections/publications/performativity/experiential-turn. 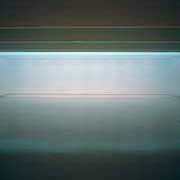 Robert Irwin, untitled, 1971, synthetic fabric, wood, fluorescent lights, floodlights, 96 x 564 in. (243.8 x 1432.6 cm). Collection Walker Art Center, Gift of the artist, 1971, 1971.17. 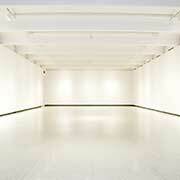 ©Robert Irwin/Artists Rights Society (ARS), New York. In the past ten to fifteen years the word performative has advanced from a theoretical term used by a few linguistic philosophers to a key rubric within the discourse of contemporary art and aesthetics. Today any artwork that in some formal, thematic, or structural way alludes to ideas of embodiment, enactment, staging, or theater is called performative. Any visual artwork that relates to a here-and-now, and thus in some way or another refers to the idea of performance without being a performance, is called a performative artwork. Yet this misunderstanding of performative as meaning “performance-like” has led to considerable confusion, mainly because it is impossible to clearly define what a performative artwork actually is. As a category it remains stubbornly slippery—and with good reason, because the use of the term is based on a complete twist of the word’s original meaning. There is no performative artwork because there is no nonperformative artwork. The notion of the performative was introduced into linguistic theory by the British philosopher John Langshaw Austin in his lecture series “How to Do Things with Words,” given at Harvard University in 1955.1 Austin coined the term performative in order to point to the actlike character of language. He argued that in certain cases something that was said produced an effect beyond the realm of language. In other words, under certain conditions signs can produce reality; one can do things with words. The classic examples of what Austin at first thought would constitute a particular category of utterances—the “performatives”—originate in legal discourse: “I now pronounce you man and wife” and “I hereby sentence you to six years imprisonment without parole.” Although Austin had originally planned to isolate certain utterances under the notion of the performative, he soon understood that a clear-cut distinction between a constative (reality-describing) and a performative (reality-producing) way of speaking could not be made. If every utterance contains both constative and performative aspects, it is tautological to speak about “performative language.” And the same principle applies to artworks. It makes little sense to speak of a performative artwork because every artwork has a reality-producing dimension. To speak about the performative in relation to art is not about defining a new class of artworks. 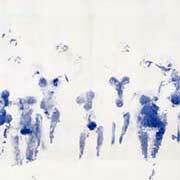 Rather, it involves outlining a specific level of the production of meaning that basically exists in every artwork, although it is not always consciously shaped or dealt with, namely, its reality-producing dimension. In this sense, a specific methodological orientation goes along with the performative, creating a different perspective on what produces meaning in an artwork. What the notion of the performative brings into perspective is the contingent and elusive realm of impact and effect that art brings about both situationally—that is, in a given spatial and discursive context—and relationally, that is, in relation to a viewer or a public. It recognizes the productive, reality-producing dimension of artworks and brings them into the discourse. Consequently we can ask: What kind of situation does an artwork produce? How does it situate its viewers? What kind of values, conventions, ideologies, and meanings are inscribed into this situation? What the notion of the performative in relation to art actually points to is a shift from what an artwork depicts and represents to the effects and experiences that it produces—or, to follow Austin, from what it “says” to what it “does.” In principle, the performative triggers a methodological shift in how we look at any artwork and in the way in which it produces meaning. Understood in this way, it indeed offers a very interesting and challenging change of perspective. Used as a label to categorize a certain group of contemporary artworks, however, it makes little sense. Yet the fact that the performative is not a label does not mean that we cannot use it to shed light on those art phenomena to which it is most often applied. A concern with an artwork’s effects on the viewer and with the situation in which it takes place has indeed become a dominant feature of contemporary art since the 1960s. Although I am aware that a new notion will cause new problems, I want to suggest the experiential turn as a term that might be more appropriate and useful to describe these ongoing tendencies in contemporary art. The competing hypothesis, then, would be that for a few decades visual art has increasingly turned toward the production of experiences. What does this mean? Every artwork produces some kind of (aesthetic) experience. But as I would like to argue, from the 1960s onward, the creation and shaping of experiences have increasingly become an integral part of the artwork’s conception. A 1960 Minimal installation by Robert Morris hardly produces meaning—if one understands meaning in the traditional sense as something that is located within the object and needs to be “read” or “discerned” by a viewer. 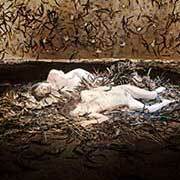 It certainly produces an experience, though, in the way that it relates to the space and to the viewer’s body. 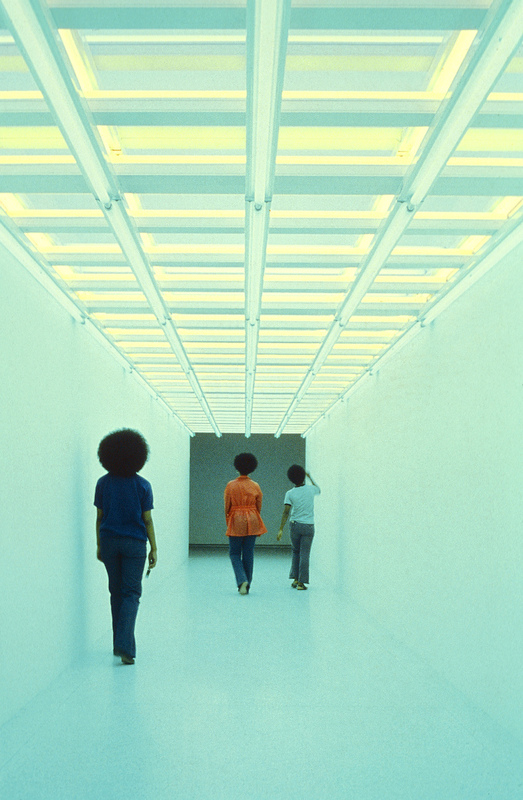 Referring to works such as Bruce Nauman’s corridors and reflecting on their tactile-kinesthetic involvement of the viewer, art historian Oskar Bätschman introduced the term “experience shaper,”2 a notion that could easily be applied to a variety of contemporary artworks. Daniel Buren, for example, speaks of his works as “exemplary experiences,”3 and in the 1990s an entire generation approached the experiential dimension of art, in works such as Dominique Gonzalez-Foerster’s experiential spaces and Rirkrit Tiravanija’s staged intersubjective experiences. What happened? How could “experiences” become something like an artistic medium in contemporary art? How are experiences created, shaped, and reflected in artworks, and how do they produce meaning? In the discussion that follows, I would like to approach this focus on art’s experiential dimension from two sides. First, I look at the issue from an art historical perspective, outlining its birth in certain artistic positions within Minimal Art and drawing a line from them to more recent and present tendencies. Second, I argue that art’s “experiential turn”—and the new focus on the perceiving, experiencing subject that comes with it—resonates with the fundamental economic and cultural transformations of Western bourgeois-industrial societies in the late twentieth and early twenty-first centuries. Referencing sociological theories such as those put forth by Gerhard Schulze in The Experience Society, I propose that the artistic shift toward the creation of experiences should be seen in the context of a general revaluation of experiences as a central focus of cultural, social, and economic activity. 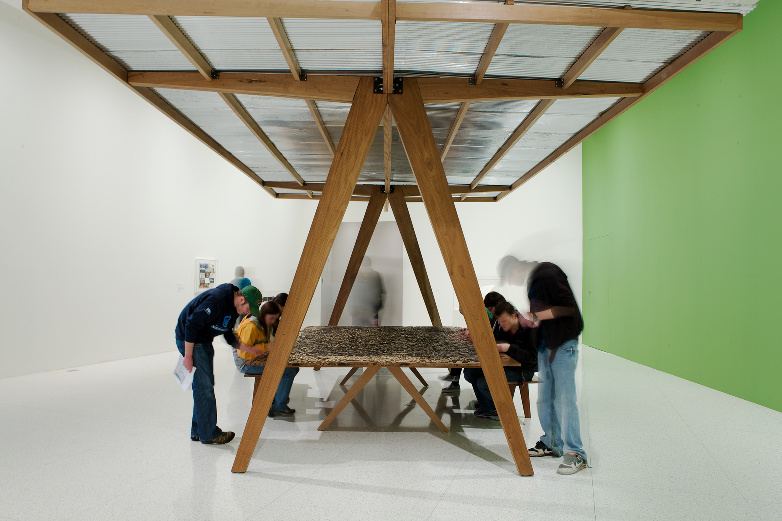 Rirkrit Tiravanija, untitled 2006 (pavilion, table, and puzzle representing the famous painting by Delacroix “La Liberté Guidant le Peuple,” 1830), 2006, wood, metal, jigsaw puzzle, 118 ⅛ x 157 ½ x 267 ¾ in. (300 x 400.1 x 680.1 cm) overall installed. Collection Walker Art Center, T. B. Walker Acquisition Fund, 2006, 2006.88.1-.38. Installation view, Walker Art Center, 2010. 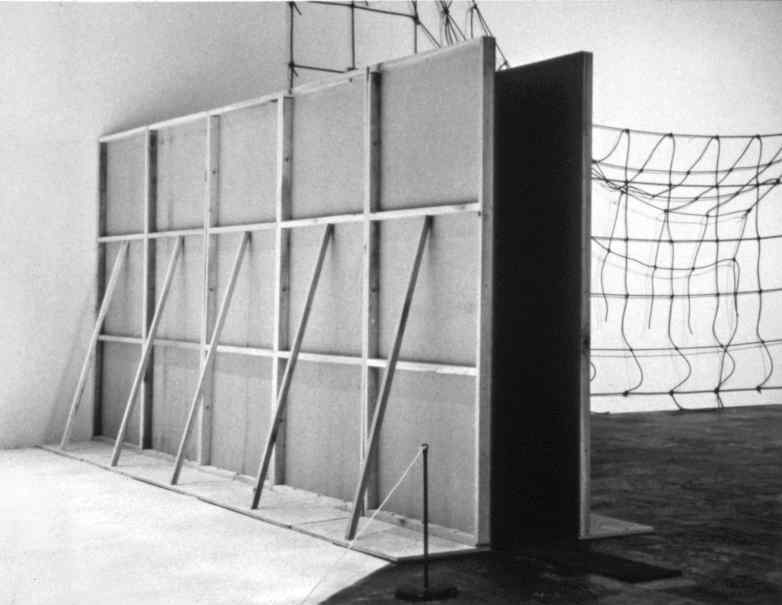 Bruce Nauman, Performance Corridor, 1969, wallboard and wood, 96 × 240 × 20 in. (243.8 × 609.6 × 50.8 cm). Solomon R. Guggenheim Museum, New York, Panza Collection, Gift 92.4162. ©2014 Bruce Nauman/Artists Rights Society (ARS), New York. Installation view, Anti-Illusion: Procedures/Materials, Whitney Museum of American Art, New York, 1969. Certain positions within Minimal Art during the 1960s fundamentally changed the relationship between the object and its viewer, between art and its venue, by completely shifting the meaning of the object to the experience had with and through it. They suggested a situational focus in the visual arts through the way in which they introduced a consciousness of the space and the bodily situatedness of the viewer. The key artistic figure in this context is Robert Morris, whose artworks and writings most explicitly question the traditional notion of both art object and viewer in favor of what Rosalind Krauss has called a “lived bodily perspective.”4 In 1971 Morris said, “I want to provide a situation where people can become more aware of themselves and their own experience rather than more aware of some version of my experience,”5 indicating the crucial shift of focus from the artist and his or her intention to the viewer’s aesthetic and nonaesthetic experience. Traditionally, any artwork is seen as a representation of the artist’s intentions. It incorporates an act of creation that constitutes its ground and essence. With Minimal Art, the focus shifts from this interior ground to an outward effect. The artwork is no longer seen as representing a mental, internal space or consciousness. Instead it forms part of an external space—which it shares with its viewer—in which meaning is produced in relation to a given situational reality. Internal relations of form and content retreat behind the object’s impact on this situation, an impact that throws viewers back on themselves, in a space and a situation. The works of Carl Andre and Robert Irwin are, in very different ways, based on these premises. Known for his floor objects—bricks and plates that lie on the ground, arranged in basic modular forms—Andre introduced a new awareness of the artwork’s physical reality as an aesthetic phenomenon shared with the viewer’s reality. Both artwork and viewer occupy the same nonmetaphorical and nonsymbolic space. Today one might wonder why Andre’s works (particularly the planes on which people can walk) elicited such strong reactions when they were first shown. But apart from the provocative fact that there was almost nothing “worked” in these serially arranged ready-made units, it was the sheer fact of their horizontality that prompted the negative public response. Andre was interested in horizontality because it extended into, and hence revealed, its surroundings—and also because it struck at the traditional concept of sculpture as a vertical and anthropomorphic form. Horizontality, as Yve-Alain Bois and Rosalind Krauss have argued, is the plane of bassesse and thus something decidedly unmonumental.6 “Don’t touch” is normally the prior rule of any art encounter. Here were artworks that you could walk on. 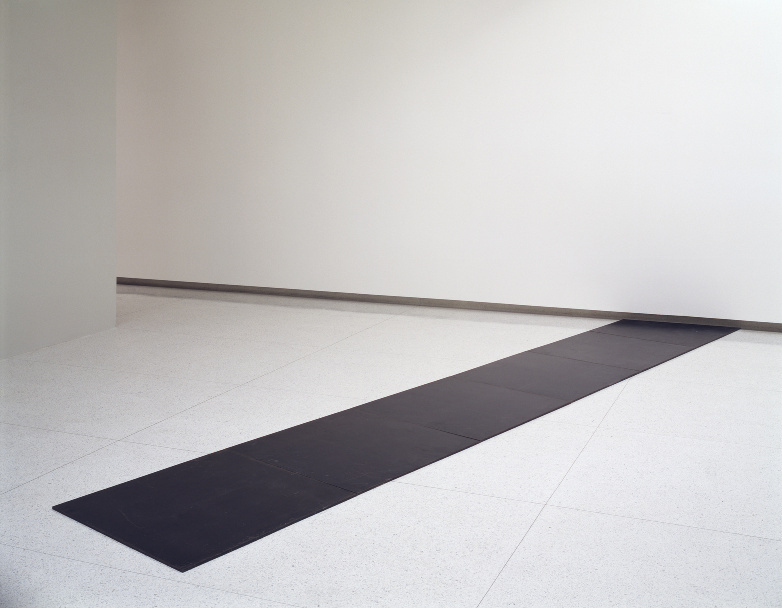 Carl Andre, Slope 2004, 1968, steel, ½ x 204 x 38 in. (1.3 x 518.2 x 96.5 cm). Collection Walker Art Center, Art Center Acquisition Fund, 1969, 1969.12. Art ©Carl Andre/VAGA, New York, NY. 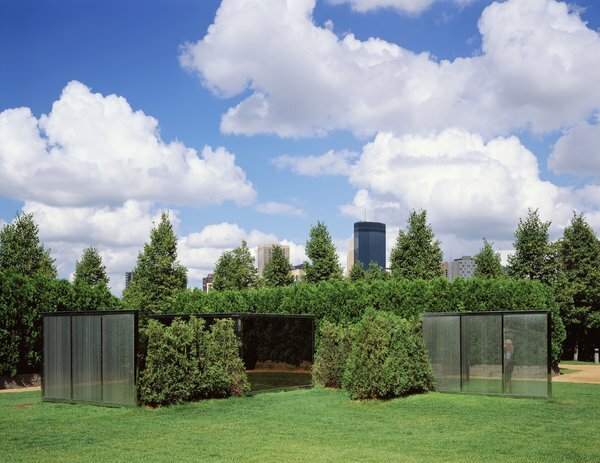 Dan Graham, Two-way Mirror Punched Steel Hedge Labyrinth, 1994–1996, stainless steel, glass, arborvitae, 90 x 206 x 508 in. (228.6 x 523.2 x 1290.3 cm). Collection Walker Art Center, Gift of Judy and Kenneth Dayton, 1966, 1996.133. ©Dan Graham. Although for artists like Andre, Irwin, and Graham the visual remains an important factor in art, their works dismiss a reflexive spectator-object relationship in favor of a felt and lived experience. Carsten Höller, Test Site, 2006. ©Carsten Höller/©Tate Photography. Installation view in Turbine Hall, Tate Modern, London. Although for artists like Andre, Irwin, and Graham the visual remains an important factor in art, their works dismiss a reflexive spectator-object relationship, in which meaning is determined only by the optical exchange across the visual field, in favor of a felt and lived experience of corporeality, a haptic or tactile phenomenology of the body as it encounters the physical world. These changes, which were induced by Minimalist aesthetics and its phenomenological model of experience, which conceptual art later replaced with a semiotic model of experience, led to a paradigmatic reconception of both the notion of the object and the idea of the viewing subject that became essential to a generation of artists working in the 1990s. In his “Notes on Sculpture,” Robert Morris writes that the object does not become less important but “has merely become less self-important.”9 In installations by artists such as Dominique Gonzalez-Foerster, Philippe Parreno, and Carsten Höller, the autonomous object retreats behind the idea of restoring the experiential, social, and intersubjective capacities of art. 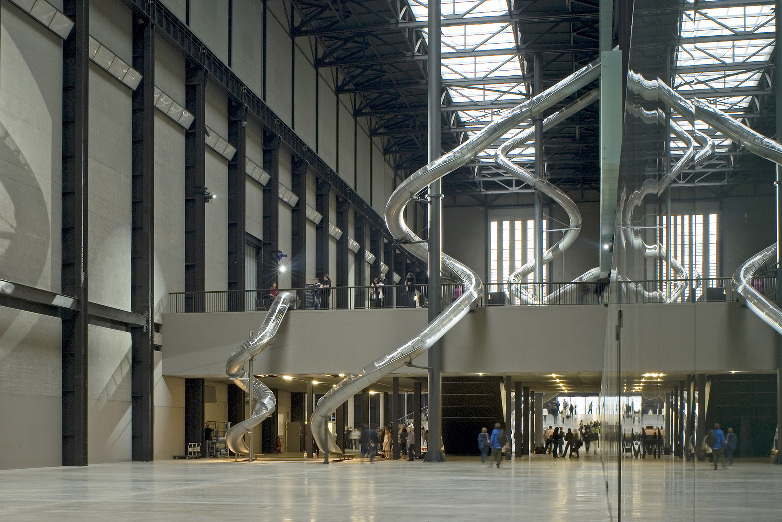 When Höller installs giant slides in the Tate Modern’s Turbine Hall, the object—although clearly one with a sculptural quality—functions like a tool for producing an experience of oneself (or of a different side of oneself).10 The actual aesthetic effect of the work lies in its capacity to trigger this experimental self-relation. Viewing the slides, we communicate not with the sensitivity or the specific subjectivity of the artist—as we might do when contemplating other artworks, for example, drawings—but with ourselves and others who enter into the same experience. The subject, however, is no longer the “recipient” of the museum in its canonical nineteenth-century formation. Contrary to the way in which nineteenth-century viewers received a canon through quietly reflecting on the works—thereby submitting to the authority of history, the state, knowledge, and so on—artists such as Höller propose a notion of reflection that is inseparably bound to a lived, felt, and situated dimension of experience. They address a subject for whom looking is as much the body as the eyes, a subject whose body engages in an active encounter with the physical world. Even though the ecological and economic consequences of this transformation have by now reached public consciousness, the cultural impact—at least as an impact of this process—is much less present. The transformation from a society of lack to a society of affluence, according to Schulze, produces a change in the way individuals relate to themselves. With the increase in both income and leisure time, more and more people can (and need to) shape their lives according to their own needs and preferences. People have to learn how to relate to their living context in a mode of selection—and their selection criteria are no longer primarily purpose-oriented—that is, driven by necessity—but are also, and increasingly, aesthetic.14 When I choose, I can choose according to necessity or taste. And in Western societies since the 1950s and 1960s, the realm of the nonnecessary, the aesthetic, has gained an extreme importance. The emerging affluent society might still celebrate its new wealth—as they say, more is more—but for the individual in the advanced affluent society, aesthetic criteria, such as quality and intensity of experience, have become a main point of orientation. It is important, however, to understand this as a gradual project in a historical perspective. Schulze does not claim that today we want (or are able) to orient our lives according to our experiences. What he says is that a historical and intercultural comparison reveals that there is now a relatively large focus on experience for the construction of the social world. Along with this shift toward immaterial and subject-related concerns, a new “culture of being” arises: How do we want to live? What does it mean to lead a good life today? What could be “beautiful” relations? This new focus on the subject and the intersubjective goes hand in hand with a changed relation to the material world. In a society that is focused on the production of goods—a society of lack, in other words—relating to things basically means adjusting to their characteristics. In an affluent postindustrial consumer society, the focus shifts from producing things to selecting them. Choosing things, however, means that their criteria are adjusted to me. This change of perspective leads to encounters with the self. Aside from things, the subject finds the theme of itself. This is where Schulze joins a discourse on the “technologies of the Self” (Michel Foucault) and the “aesthetics of existence,” which has gained increasing attention in recent years. This new focus on the subject and on the techniques and practices of subjectivization has been largely criticized, or even dismissed either as a new kind of fashion trend or—as Ulrich Bröckling claims, for example—as a particularly refined mode of economic self-exploitation.15 Schulze, in contrast, sees the turn toward the subject as an urgent and necessary project demanding public and rational debate, precisely because we don’t know how a “culture of being” might look today. Modern Western societies were primarily characterized by their attachment to what Schulze calls the logic of expansion or the “cumulative game” (Steigerungsspiel)16—to perpetual technological, economic, and scientific progress and innovation. The more saturated the status quo of scientific and technological development, the more apparent becomes the necessity for a different mode, one that is less determined by breaking boundaries and expanding possibilities, and more oriented toward ideas of how to shape and give form to the status quo. Schulze speaks in this regard about the increasing significance of a “culture of arrival” that needs to be acquired in a collective learning process.17 This, according to Schulze, is the main challenge of contemporary Western societies: the transition from a tradition of appropriating nature to the creation of an appropriation of culture. If we agree with Schulze’s analysis that a major characteristic of our time is the fact that what historically was an upper-class phenomenon—namely the cultivation of an aesthetics of existence—is today a kind of mass phenomenon, then the “experience society” ultimately has to be seen as a part of a huge movement of democratization. With the increase of both income and leisure, more people can and must engage with techniques and practices of the self—the freedom to choose is also the obligation to choose. When material needs are satisfied to a certain extent, inner experiences become a focus of individual behavior, and a need for refinement, for the shaping of character, arises. And the realm that answers to this need is, in a secular society, no longer religion but the realm of culture. This, to a certain extent, might explain why in Western societies the aesthetic is gaining more and more significance for the practice of life. A notion of the aesthetic, however, that slowly seems to be loosening its obligatory tie to the object or artifact and increasingly orienting itself to the subjective and intersubjective. This is the broader social and cultural context within which we have to see art’s transition from an aesthetic of the object to an aesthetic of experience. And again we are speaking about a long historical process that runs through modernity. A modern notion of visual art developed along with the rise of bourgeois societies. And what characterized the rising bourgeois culture, in opposition to the preceding aristocratic and court cultures, was the attachment of the individual to the material object. In aristocratic culture, objects played a role too, as signs of taste, wealth, and status. But ultimately they formed part of an aesthetics of manner and style; they accessorized a subject that aimed to transform itself into another, more refined personage. The aristocracy, however, was able to place such a high premium on pursuits like conversation and sociability only because it was exonerated from labor. And as Thorstein Veblen has shown, it even needed to cultivate these practices in order to demonstrate that it had plenty of free time, which clearly distinguished it from a productive lower class that was concerned with covering its basic requirements.18 The bourgeoisie, in contrast, saw itself as an integrative organism whose progressive—one might even say revolutionary—achievement was to create a social order in which the realms of material production and aesthetic refinement were no longer mutually exclusive, in which people worked and had access to culture. In this new social order, cultural refinement and economic production entered a kind of dialectical relationship. With the disappearance of feudal bonds, wealth and status were no longer obtained by birthright but were earned through labor and production. Just as material production became the source of wealth for potentially everyone, everyone should have access to the realm of cultural refinement, at least in theory. The rise of material production as the dominant source of wealth was accompanied by a new ambition to democratize culture, which brought the fields of culture and production closer together. So if bourgeois culture was essentially based on a connection between the individual and the material object, then visual art became a kind of practicing ground in which this specific connection between materiality and subjectivity was both practiced and reflected on a purpose-free level. Not only because the artwork itself has, as a material object, a relation to the realm of material production—and yet can also designate this object as a source of cultural significance and aesthetic refinement—but also because the exhibition constituted a kind of ritualistic cultivation of the idea of an individual who relates to the material object. How does the strong focus on presence that comes with art’s turn to the experiential relate to the idea of a historical memory that is constituted by and through art? And just as the attachment of visual art to the material object cultivated and refined bourgeois-industrial society’s groundedness in material production, so did art’s “experiential turn”—and the new focus on the perceiving, experiencing subject that came with it—resonate with the fundamental economic and cultural transformations of bourgeois-industrial societies in the late twentieth century. If present-day Western societies are on their way to a postindustrial social order, this development is mirrored in art’s shift from the object toward the dimensions of subjective and intersubjective experience. It is precisely these correspondences between art’s experiential turn and the rise of “experiences” to a prime paradigm of Western societies in the late twentieth and early twenty-first centuries that raise the central question of a qualitative judgment of this new “experiential turn” in visual art. And by this I mean not only the ability to decide between aesthetic and nonaesthetic experiences, which is becoming more and more virulent given that “experience” is now a focus of social, economic, and cultural activity. I also mean questions about aesthetic judgment, about quality and depth. Questions that until now have been asked primarily in critical discourse: What, after all, is experienced? The experience of having had an experience? 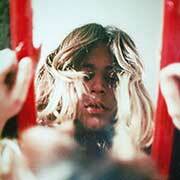 Does the strong focus on the subject play into the hands of a narcissistic consumer culture? How does the strong focus on presence that comes with art’s turn to the experiential relate to the idea of a historical memory that is constituted by and through art? 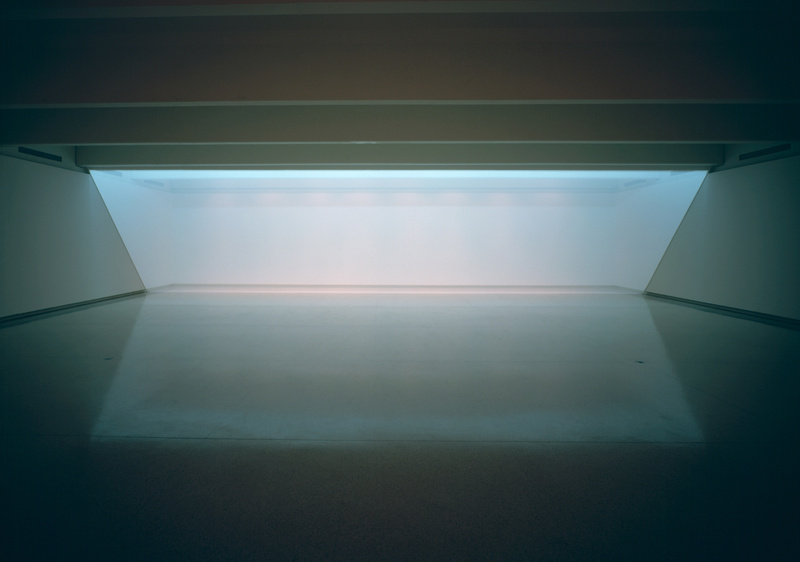 Dan Flavin, Untitled (To Elizabeth and Richard Koshalek), 1971. Works for New Spaces, Walker Art Center, 1971. Photo: Eric Sutherland. Schulze’s Experience Society was published in 1992. The empirical data on which the book is based stem from the late 1980s. Critical voices could argue that the diagnosis is too dated to be adequate for the reality of the early twenty-first century, that economic crises and the “new poverty” question the affluence of Western societies and the search for “experience” as one of their main characteristics. There are, however, two misconceptions inherent in this critique. The affluent society is defined by the fact that its aggregate production is greater than what its population can consume. This signifies a transition from supply-driven to demand-driven markets. It does not mean that what is produced is equally distributed or accessible. The fact that there is an inequality of distribution that can and should be criticized does not mean that Western societies are not structurally affluent societies. And it is also empirically easy to prove that the experience-orientedness that Schulze observes has even increased since his book came out—up to the rise of the market and culture of experience that exist today. Like Zygmunt Bauman and others, Schulze points to a kind of dead end of the subject’s turning to the self in the attempt to invert the self-centered perspective and open it to a new direction: to understand the work on the self as something that requires an involvement with something outside it, with projects and content. The shift toward inner goals that Schulze had defined as the main characteristic of contemporary Western societies is now recognized as a path that does not turn away from the outside but, conversely, presupposes an engagement with it. Precisely because these objects engender an experience that remains contingent and does not refer to an essentially stable subject, this experience cannot give rise to a cultural context as traditionally represented by the museum. Instead of “reconciling” the individual with his or her own experiences, Minimal Art, according to Krauss, ultimately serves to underscore what she calls the “utterly fragmented, postmodern subject of contemporary mass culture,” which no longer finds the terrain for experience within a historical trajectory.26 In other words, it nurtures an individual subjugated to spectacle. Minimal Art—albeit not in factual terms (as with happenings or Fluxus events) but in regard to its underlying conception—indeed does not fit into the customary model of history used in museums. Although Minimal artworks can be seen today as belonging to a specific time and can be represented as such, in terms of their conception they initially excluded a specific type of reference to history. Minimal Art maintains a position beyond the historical determinacy of art and thus also refuses, to a certain extent, to fit into a museum as the mise-en-scène of a sequence of historically determined artifacts. In a certain way, Minimal Art robs this historical narrative of content because it shifts the meaning of artworks onto the essentially general and indeterminate level of effect. But just as Minimal artworks are abstract—with their geometric shapes and qualities as pure objects—and seem to maintain a position outside the representational conventions outlined in art history, so too does the experience of viewing these artworks remain abstract. This becomes clear, for example, in Tony Smith’s oft-cited anecdote of his nighttime experience on the unfinished New Jersey Turnpike. Smith drove down the empty road and reported how this experience, for him, was quasi-aesthetic in nature yet also shattered all customary aesthetic order. “There is no way you can frame it, you just have to experience it,” is how he put it, and it was clear to him that a reformulation of the aesthetic would also provoke a fundamental change in the conception of art, transgressing the aesthetic experience in a way that was universal.27 It was precisely this universality that ultimately rendered the experience of these works indeterminate and general. When Krauss’s essay was published in German in the journal Texte zur Kunst in 1992, it was prefaced by a film still from the absurd Hollywood romantic comedy L.A. Story, in which the favorite pastime of the protagonist, played by Steve Martin, is speeding on roller skates through museums, something he does twice in the course of the film.28 He races first through the historical collections at the Los Angeles County Museum of Art and then through the galleries of the Museum of Contemporary Art, Los Angeles. Euphoric, he enjoys his aesthetic buzz through art history, in which the individual artworks pass him by almost like a film. The antithesis of the museum as the location of a collective, historical-cultural memory—as described in Jürgen Habermas’s model of the bourgeois institution intended to enable visitors to experience the formation of the bourgeois individual as a process rooted in history—can hardly be better shown: here the museum becomes the site of the potential for hedonistic experience in which a subject is not constituted but lost through viewing cultural heritage. In different ways, and from very different perspectives, both Schulze and Krauss point to an important premise of the experiential turn, which does not imply a turn away from meaning, discourse, and content but rather points to a connection of meaning production to experience—to the viewer’s situated and embodied experience. It leads to a concept of situated knowledge, an understanding of meaning as something that is always and inseparably linked to a situated and embodied subject. Correspondingly, the turn toward the subject and his or her experiences does not imply a narcissistic turn to the self. The work with and on the self presupposes an engagement with outer projects or content in the same way that such an engagement with projects or content also implies or leads to work on oneself. In the final part of this essay I would like to focus on the question of how to translate such a concept of experience in the realm of the aesthetic. What does it imply for art? How can experience be charged with meaning, significance, and content? How can a phenomenological model of experience, as outlined at the beginning of this essay, and a semiological model of experience be connected? How can experiences be linked to their own historical, contextual, and epistemological origins? And I will present two artworks that, I think, propose at least some answers to these questions: James Coleman’s filmic installation Box (ahhareturnabout) from 1977 and Tino Sehgal’s constructed situation This objective of that object from 2004. Box is a work that very strongly cites and involves the body. From a distance we can already hear a hollow beat fighting its way through the exhibition space like blood pumped through the body by a beating heart. Once we enter the space, this beat reaches the limit of the tolerable; the rhythm almost violently takes possession of the visitor’s body. The space is very dark. At regular intervals it brightens for fractions of a second, allowing a glimpse of scenes from a boxing match. The visual staccato of stark black-and-white contrasts is no less violent to the eye than the acoustic beat is to the rest of the body. While the beat pulsates from an enormous loudspeaker, words and fragmented sentences like “Do it—again, again—stop, s-t-o-p, return … aha/aha, ah … go, go on … again, again,” spoken by a male voice, can be heard from another loudspeaker. Commands, a description of the fear and doubt and pain of the fight, are repeated as if someone were thinking out loud, interspersed with loud breathing or gasping. Box is Coleman’s only work that is based on documentary material. 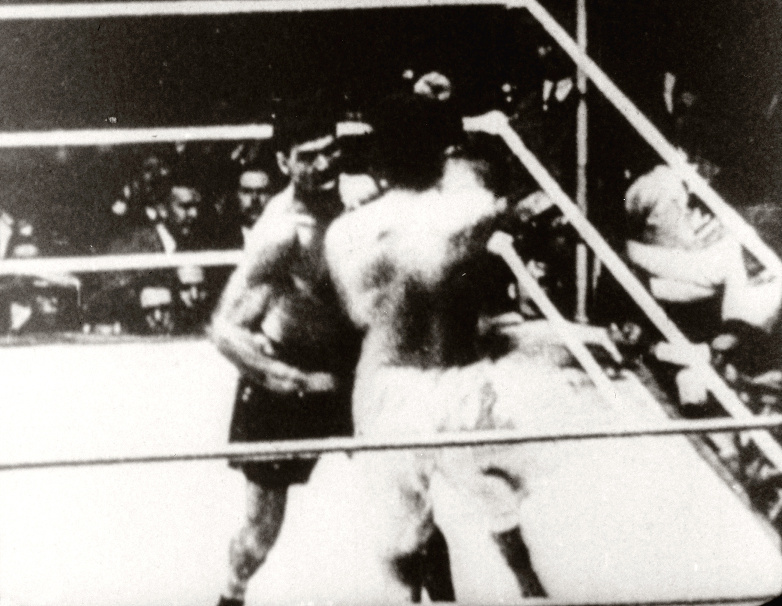 The images in this artwork are taken from footage of a fight between Gene Tunney and Jack Dempsey, to which the artist added regular black film frames. The fight, which took place in Chicago on September 22, 1927, is legendary in the history of boxing. It was a rematch between two world heavyweight champions. Jack Dempsey was one of the most famous athletes of his time. Renowned for his lightning-speed punches, he held the heavyweight title for almost seven years. He was known as the Caveman and was considered unbeatable, but in 1926 he lost the world championship to an unknown fighter, Gene Tunney, who was the complete opposite of Dempsey: intellectual, good-looking, and aesthetically refined. The rematch a year later, awaited with great excitement, was to go down in boxing history as one of the most spectacular fights of its time. And the impossible happened again: Tunney won. But at the moment of the fight, everything was at stake for him. He had to win a second time to keep his title; at the moment of the fight he had his status, yet at the same time he did not. 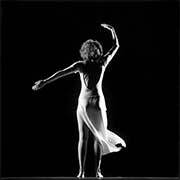 James Coleman, Box (ahhareturnabout), 1977, 16mm film (black-and-white, synchronized audio), continuous loop. Collection Walker Art Center, T. B. Walker Acquisition Fund, 1991, 1991.96. In Coleman’s installation, the flarelike flashing sequences of images are so brief that it is impossible to follow the course of the match. Rather than proceeding toward a climax, the sequence of images presents a continuous repetitive loop. The poor quality of the documentary material, the interference, and the disjointed movements of the figures indicate that the footage is vintage. In a vague, coded manner, this suggests a historical and local anchoring of the work, which, however, never becomes concrete and fades behind the aesthetic impact of the work’s visual and acoustic stimuli. Walter Benjamin, in his concepts of corporeal space (Leibraum) and visual space (Bildraum), developed a vision of a mechanism that absorbed the subject, of an image that, as Sigrid Weigel writes, “moves in on the subject and materializes in physical innervations.”29 Similarly, in this work Coleman connects the perceptual apparatus to the spectator’s body and links the mechanism to a visual-aural experience. With the pulse of the beat in one’s own body and the drama of the spoken word, one has the feeling of being both in the body and in the consciousness of the boxer. At this moment the division between inner and outer becomes permeable—as with the boxer, who is isolated and at the same time the center of a nervous, energetically charged perceptual field directed by a public. Coleman orchestrates a (visitor’s) body, which forms a bond with the visual and acoustic apparatus. It seems as if we, the viewers, penetrate the body of the boxer, just as the visual/aural apparatus penetrates our bodies. It is this fusion of the body and the cinematographic apparatus that—for a moment—produces the impression of the historical event not being depicted or represented but rather rendered present and suspended in the aesthetic experience. The rhythmic principle of this artwork seems to unite the two levels of time that play a role in Box, those of experienced time and historical time, which are both mediated in the viewer’s bodily and aesthetic experience. With the title Box, Coleman alludes to the distinctive iconographic feature of Minimal Art and, at the same time, to its spatial orientation to the viewer’s body. Yet while in Minimal Art the experience is that of a body standing indeterminately outside of power, sexuality, and history, Coleman, in contrast, gives experience a historical-materialist contour. He introduces a dimension of experience that does not exclude meaning, language, critique, and history but gives these categories a concrete form as a necessary basis for all experience. The subject is presented in a sociogeopolitical context and at the same time is enacted on the uncontrolled level of affect and physicality. The body is therefore conceived as material, as a bearer of meaning and, simultaneously, as a psychophysiological being. In a radically discontinuous way, Coleman forges links between subjective experience and a specific historical event. He thus determines experience in two ways. First, he constructs the aesthetic in terms of a temporal structure, forming a discontinuous constellation of the present and the past. Second, by alluding to a specific historical event and by employing and reflecting on the specific dissecting and shocklike abilities of the filmic medium, he focuses attention on the transformations that emerge, through the course of history, in the structure of experience itself. The experience of the artwork is refracted in a reflection on the historical, cultural, and media origins of this experience. Coleman lends aesthetic experience a specific historical-materialist thrust. The powerful experience of the artwork is pinned to the moment of perception, and yet it has a grounding in history, or rather it bears the historical within it, bringing this into the present by linking it with the testimony of a specific event, charged with all the tensions and contradictions that form an actual historical situation. Tino Sehgal’s This objective of that object is based on a formal structure that involves and engages the visitor in a communicative, intersubjective experience. As with all of Sehgal’s works, This objective of that object is enacted by different people during the entire opening hours of an exhibition. 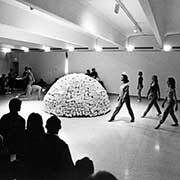 The viewer enters an empty exhibition space and is slowly encircled by five people walking backward one after the other toward the visitor from hidden corners, stopping at a distance of about three to four meters in a circular formation. They all have their backs to the visitor and breathe heavily in a synchronous rhythm. What is at first a barely audible murmur turns into a phrase delivered in unison and repeated insistently: “The objective of this work is to become the object of a discussion.” The louder this sentence is spoken, the more emphatic it sounds, like a demand, with increasingly long pauses between each utterance. This is the prologue of an artwork that aspires to provoke its own commentary. If the visitor does not comment or shows no reaction, the players collapse after a few minutes. Their voices become weak as they slowly sink to the floor and, as if with their dying breath, utter for a last time: “The objective … of this work … is to become … the object … of … a discussion.” That is it. Then, in silence, the players lie lifeless on the floor. Without comment, without communication, the artwork has no life force. But as soon as something occurs or is said, they stand up again and excitedly say: “We have a comment, we have a comment. Who will answer, who will answer?” Then one of them answers, “Me” or “I will,” which initiates a discussion among them. The players discuss—always remaining in circular formation with their backs to the visitor—the possible meanings and implications of the visitor’s comment. As the comments are likely to be different, the discussions vary considerably. One I experienced was initiated by the frequent question: “Why do the players always remain with their backs turned,” which led to a conversation about the cultural significance of eye contact. The sudden ringing of a cell phone, laughter, a comment in a foreign language, can become the beginning of another discussion. The players interpret the visitors’ comments in a way that is similar to the way a critic would discuss an artwork. Although the visitors are able to influence the course of the discussion by contributing to what is being said or by interjecting a comment, they nonetheless never attain a position equal to that of the players, in part because of the formal arrangement of the situation. The stratification that Sehgal constructs with this work is a strange mix between conversation and sculpture or a social situation and its aesthetics. The visitors are crucial and constitutive to the work—without their comments the main part could not take place. If no comment is made, the work does not go beyond the unvarying prologue. The artwork needs to become an object of reflection, just as the visitors have to become the object of the conversation that they witness; it is as if the work of art were holding up a mirror to the observer. In this way artwork and reception are in an infinite feedback loop, with a fragile and constantly negotiated power relation between the players and the visitors that, to a certain extent, is directed by Sehgal’s dramaturgy and mise-en-scène. If there were five pairs of eyes directed at them, the visitors would be subjected to a completely different kind of power. The fact that the players face the wall is crucial, as it allows the visitors to perceive this formation as something constructed and aesthetic. This spatial configuration creates a kind of equilibrium between those enacting and those visiting. The players know what is to be done, and the visitors can identify the players. Since the players always face the walls and do not have a complete overview of the changing situation, they cannot be aware of things like nonverbal communication between visitors. “It’s something between ballet and chess,” one visitor commented, and indeed the work functions like a spatial and formal game that the visitors try to understand and also to control. “The visitors are trying to play a game on us,” one player said, as a number of visitors drove her into a corner in an attempt to see her face, thereby altering the spatial configuration of the work. What these works by Coleman and Sehgal exemplify is the difference between artworks that produce an experience (which basically any artwork does) and artworks that shape experiences. 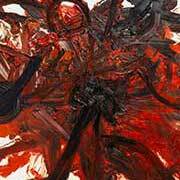 With these works, experiences had with the work become an integral part of the work. The meaning of these works manifests itself in an experience. And thus both works also point to ways in which experiences can be charged with signification. Coleman does this through a dialectical approach to experiences, which are produced and shaped and at the same time reflected in their historical, cultural, social, and medial origin. Referring to Foucault’s concept of “archaeology,” in a radically discontinuous way he constructs links between subjective experience and specific historical events, relating in turn to media and general cultural phenomena in the history of modernity.30 Sehgal works with experiences that are generated by and within an aesthetically shaped, social, and intersubjective situation. If games, according Schulze, constitute an important realm in which work on the self takes place, Sehgal inserts the visitor, in his or her communicative actions, into a game that radicalizes and challenges the “old” game of the museum as a place for the formation and self-formation of the individual. The museum has always been a place that changes and transforms itself according to profound changes in the socioeconomic order upon which it is based. As long as this order was determined by premises of production and progress, the exhibition was able to be the privileged site for ritually performing a subjective encounter with objects. Historically it was an institution of liberal government in which essential values of modern subjectivity could be practiced and enacted vis-à-vis the material object. 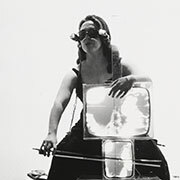 In this sense, Tony Bennett calls the exhibited objects “props for a performance in which a progressive, civilizing relationship to the self might be formed and worked upon.”31 From the 1960s onward, there seems to have been a strong tendency in visual art to connect to and at the same time challenge this formative effect of the museum. The exhibition, once conceived as a space dedicated to cultivating our most sophisticated relationships to objects, now proposes an aesthetic experience that is no longer work-related but self-related. The object, traditionally the protagonist of meaning production, becomes a device for engaging in an experimental relation with oneself and others. If we understand this turn toward the production and shaping of experiences today as an adjustment to the present state of Western societies, this, at best, could restore a discourse that enables art to become productive beyond its own boundaries in a project of a “culture of being.” Yet the subject of this experience is not of worldless and timeless universality; it is rather conceived as situated and contextualized, establishing a notion of aesthetic experience that is able to connect to the social and cultural contexts of art. Dorothea von Hantelmann teaches art history at the Freie Universität Berlin. She is a member of the Berlin-based Collaborative Research Centre Aesthetic Experience and the Dissolution of Artistic Limits. Her main fields of research are contemporary art and aesthetics as well as the history and social function of exhibitions. Her publications include How to Do Things with Art: The Meaning of Art’s Performativity (JRP|Ringier, 2010); Die Ausstellung: Politik eines Ritual, edited with C. Meister (Diaphanes, 2010); and Notes on the Exhibition: 100 Notes, 100 Thoughts (Hatje Cantz, 2012), published in conjunction with dOCUMENTA (13). John Langshaw Austin, How to Do Things with Words: The William James Lectures Delivered at Harvard University in 1955, ed. J. O. Urmson (Oxford: Clarendon, 1962). Oskar Bätschmann, Ausstellungskünstler (Cologne: DuMont, 1997). Jérôme Sans, Daniel Buren: Au sujet de…; Entretien avec Jérôme Sans (Paris: Flammarion, 1998), 126. Rosalind Krauss, “The Cultural Logic of the Late Capitalist Museum,” October 54 (Autumn 1990): 9. Quoted in Jon Bird, “Minding the Body: Robert Morris’s 1971 Tate Gallery Retrospective,” in Rewriting Conceptual Art, ed. Michael Newman and Jon Bird (London: Reaktion, 1999), 97. Yve-Alain Bois and Rosalind Krauss, Formless: A User’s Guide (Cambridge, MA: Zone, 1997). See the conversation between Robert Irwin and Michael Govan at the Los Angeles County Museum of Art in 1999, http://www.artbabble.org/video/lacma/robert-irwin-and-michael-govan-lacma. Dan Graham, Two-Way Mirror Power: Selected Writings by Dan Graham on His Art, ed. Alexander Alberro (Cambridge, MA: MIT Press, 1999), 174. Robert Morris, “Notes on Sculpture,” in Minimal Art: A Critical Anthology, ed. Gregory Battcock (Berkeley and Los Angeles: University of California Press, 1995), 234. Carsten Höller: Test Site, The Unilever Series, Tate Modern, October 10, 2006–April 15, 2007, http://www.tate.org.uk/whats-on/tate-modern/exhibition/unilever-series-carsten-holler-test-site. See, for example, Ulrich Beck, Risk Society: Towards a New Modernity (London: Sage, 1992); Zygmunt Bauman, The Art of Life (Cambridge: Polity, 2008); B. Joseph Pine and James H. Gilmore, The Experience Economy (Boston: Harvard Business School Press, 1999). For a groundbreaking historical perspective, see the sociological analyses of Georg Simmel. Gerhard Schulze, Die Erlebnisgesellschaft (Frankfurt: Campus, 1992). [Published in English as The Experience Society (London: Sage, 2005). John Maynard Keynes, “Economic Possibilities for Our Grandchildren” (1930), in Essays in Persuasion (New York: Norton, 1963); John Kenneth Galbraith, The Affluent Society (Boston: Houghton Mifflin, 1958). Ulrich Bröckling, Das unternehmerische Selbst (Frankfurt am Main: Suhrkamp, 2007). Steigerungsspiel is a paradigm of progression and increase that not only refers to economic horizons but also includes modes of thinking and acting in their totality. See also Gerhard Schulze, Die beste aller Welten (Frankfurt am Main: Fischer, 2004), 38. Thorstein Veblen, The Theory of the Leisure Class (New York: Mentor, 1953). Gerhard Schulze, “Searching Ground: Patterns of Self-Transcendence in Late Experience Society,” keynote lecture at the Fourth Nordic Conference on Cultural Policy Research, Jyväskylä, Finland, August 19–22, 2009. Quoted in Michael Fried, “Art and Objecthood” (1967), in Art and Objecthood: Essays and Reviews (Chicago: University of Chicago Press, 1998), 158. Rosalind Krauss, “Die kulturelle Logik des spätkapitalistischen Museums,” Texte zur Kunst, no. 6 (June 1992): 131–145. Sigrid Weigel, Entstellte Ähnlichkeit: Walter Benjamins theoretische Schreibweise (Frankfurt am Main: Fischer, 1997), 114–120. Tony Bennett, The Birth of the Museum (London: Routledge, 1995), 186.